Gravel pavers are a great alternative to concrete when you are building an outdoor basketball court. They create a flat, sturdy surface to be used in combination with our interlocking basketball court tiles. 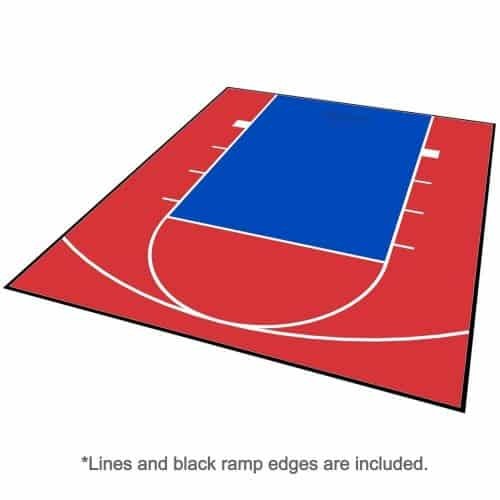 They are cost-efficient, durable and ensure that your backyard basketball court has the strong foundation it needs. A paver outdoor basketball court base is also much easier to install when compared to concrete. 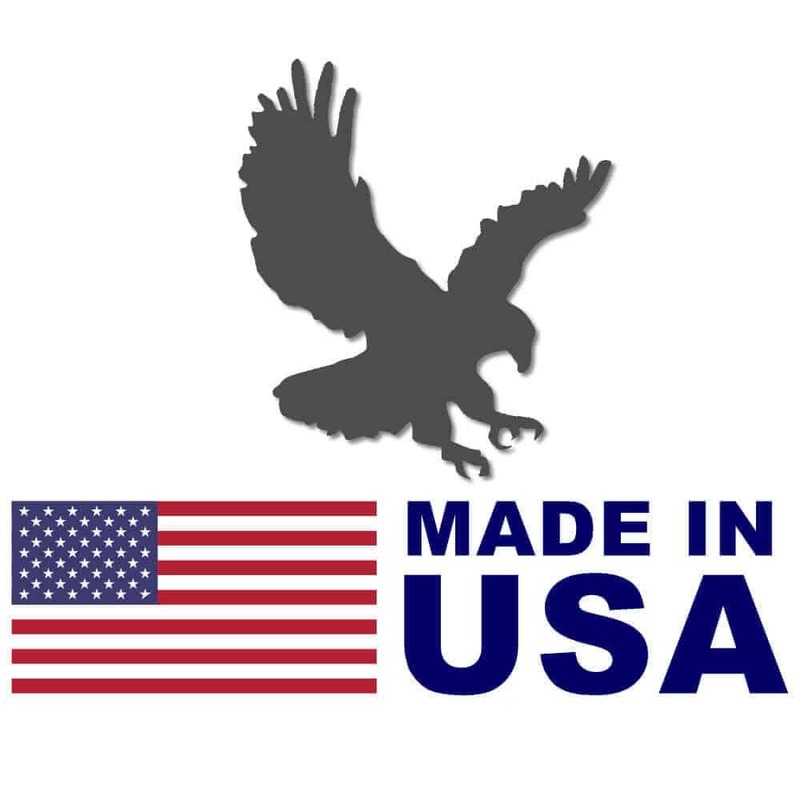 ModuTile’s permeable plastic pavers are made from recycled plastic using an injection molding process. 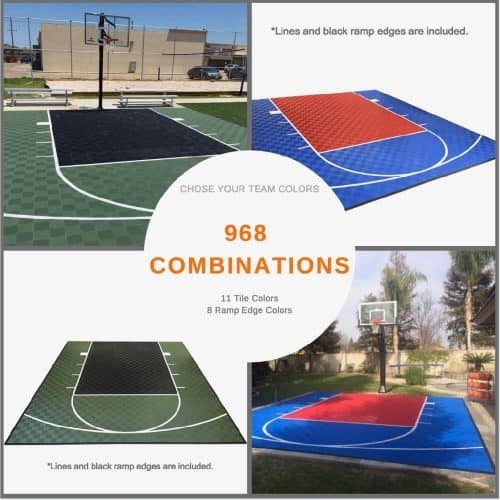 The pavers are designed for quick installation and perform well as gravel pavers for supporting an outdoor basketball court, driveway, parking area, or pathway. As seen in the pictures, each paver features a modular “cylinder” cell pattern that results in a continuous pattern throughout the install. 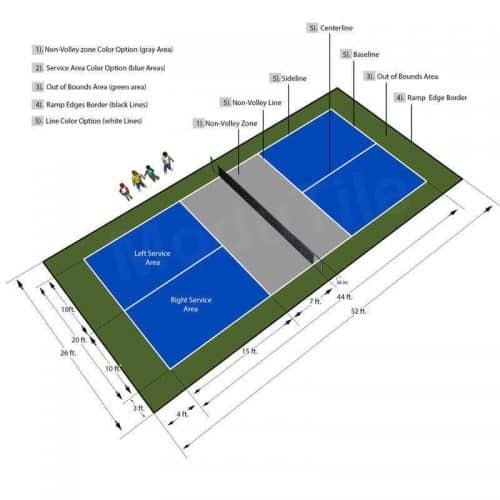 The straight bridge connections in conjunction with the physical composition of the pavers allow the paver tiles to effectively cover slightly uneven terrain and create a flatter surface. The “H” anchors are built-in to keep the paver in place without the need of additional anchors. 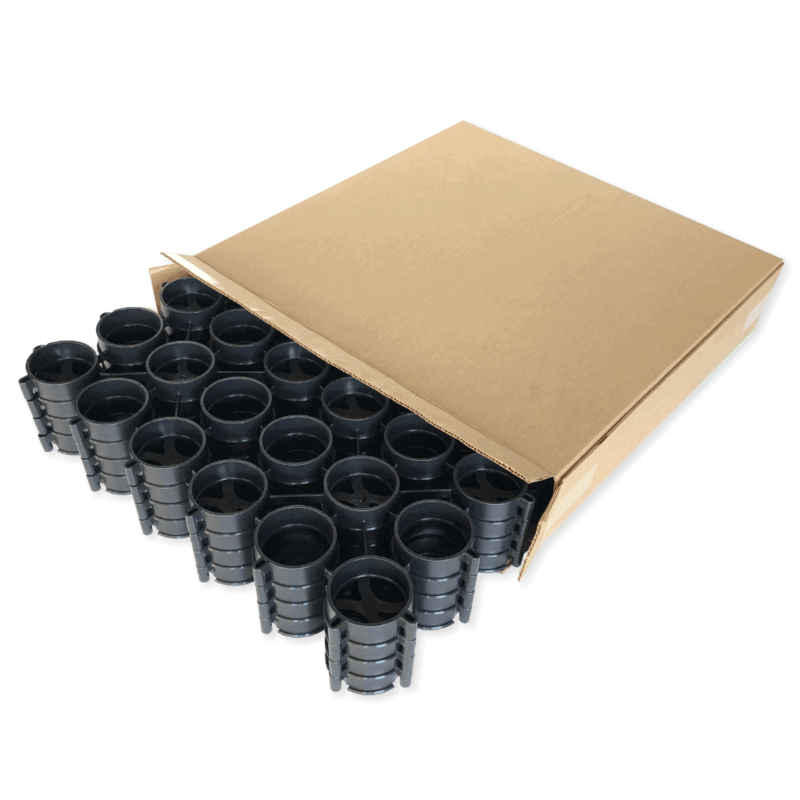 There are three primary reasons why you would use a porous plastic paver. First, these pavers allow water to flow through them. Our ModuTile permeable plastic pavers have a rating of 87% porosity. As a result, using the pavers improves water drainage and helps prevent water runoff. The second reason is that the permeable pavers consist of a post-consumer recycled material that is used as substitute for concrete. Cement production is a major contributor to CO2 emission. Hence, ModuTile’s recycled high-density plastic paver is a greener option for the environment. Additionally, the permeable pavers provide extra support for compacted gravel. The pavers help prevent erosion and make the base much stronger to support an outdoor basketball court. 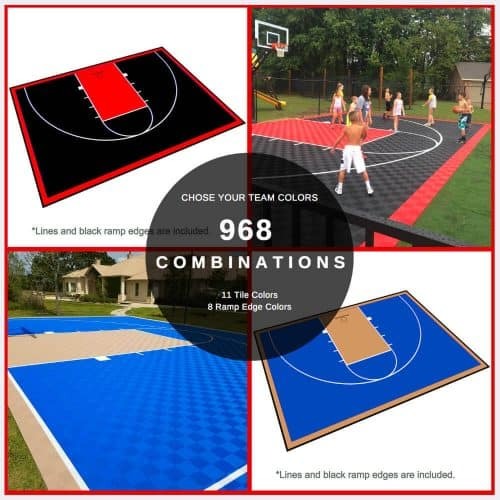 When creating an outdoor basketball court, using pavers is a smart way to be sure your court floor is properly supported for maximum enjoyment over time. Pavers will allow you start with a nice flat, strong foundation that will lessen erosion. 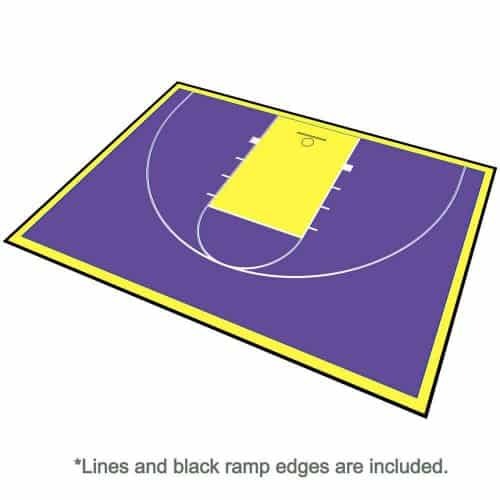 When they are installed, you can be assured that the base below your basketball court will not develop ruts or wash away. The installation of the pavers is simple because of their structure and locking mechanism. The pavers are an affordable option when compared to the financial and environmental cost of a concrete slab. 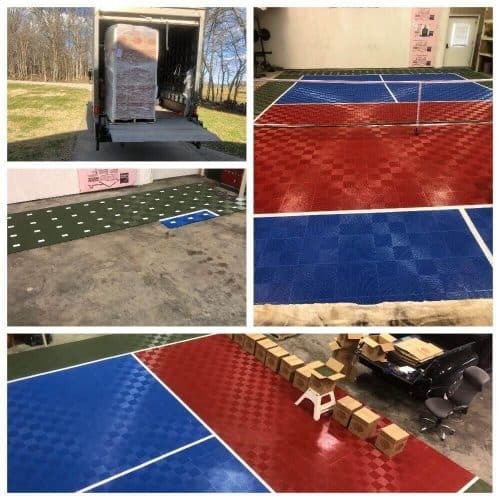 Once you install the permeable pavers, the ground is strengthened and stabilized, and you are ready to add your interlocking basketball court floor tiles and complete your backyard court. 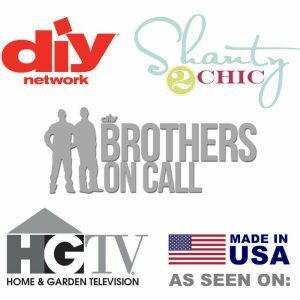 When planning the construction of your outdoor basketball court using gravel pavers, you should be prepared for the following five layers. The bottom layer is compacted dirt. Next, you will need 4 to 6 inches of compacted gravel. The third layer is the paver layer. The pavers will be filled with compacted gravel. Geotextile membrane or landscaping cloth. When creating a driveway, using gravel is a great option for appearance and functionality. The gravel option allows superior drainage because the water will seep through from the surface. With gravel driveways, it is common to have issues such as ruts, and rock erosion over time. Specifically, heavy vehicle traffic will damage traditional gravel driveways. 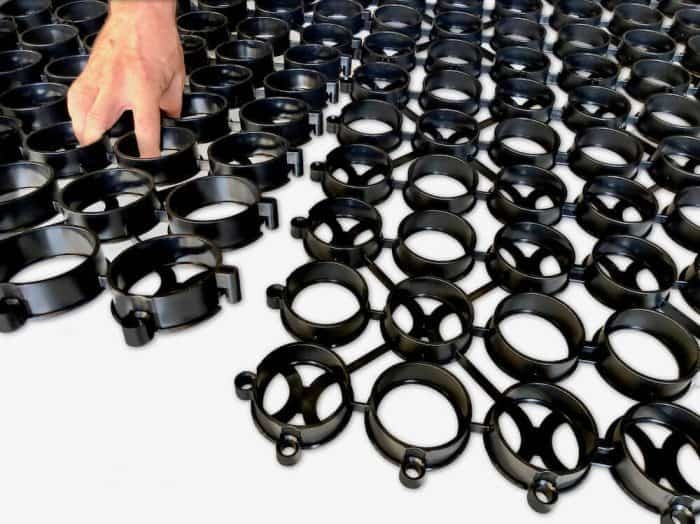 Our pervious plastic pavers create a strong rigid structure once installed. This structure slows down the erosion process caused by heavy vehicles and act as driveway gravel stabilizer. When installed properly, cars, SUVs, trucks and RVs can park and drive over the pavers without ill effects. 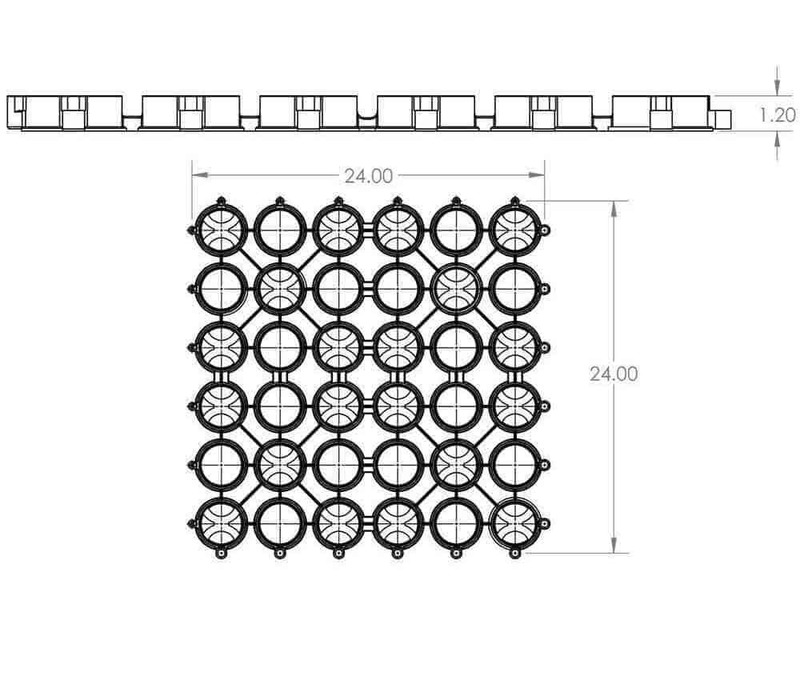 ModuTile’s 1-1/4-inch permeable plastic pavers are designed for residential use. In addition, these plastic pavers allow you to create parking areas with great drainage capacity. Due to of the water seepage, the parking areas function as small water retention ponds. 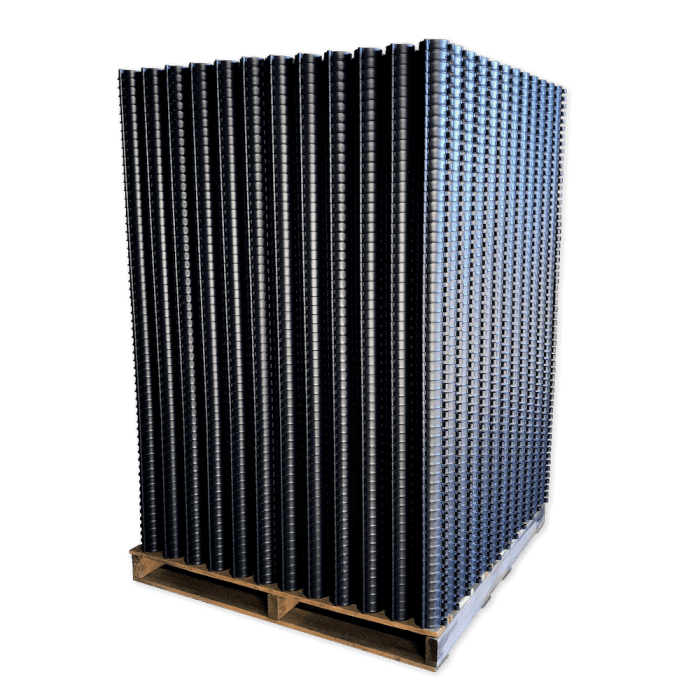 The permeable pavers are an affordable and functional parking solution for your yard. These pavers are permeable grid structures designed to provide structural support and create a permeable ground surface that allows grass to grow. There are various types of grass pavers on the market including plastic grid pavers and concrete grass pavers. Grass pavers create structural support to prevent erosion, dust abatement, and mud holes when you have pedestrian or vehicle traffic. An added benefit to using ModuTile plastic pavers as grass pavers is that it makes the ground surface permeable or porous. The water flows through the grass pavers helping manage water runoff from paved surfaces. In addition, plastic pavers provide a permeable pavement solution. Water will seep back to the underground soil rather than going into public waterways. ModuTile’s grass pavers are a great affordable driveway option. 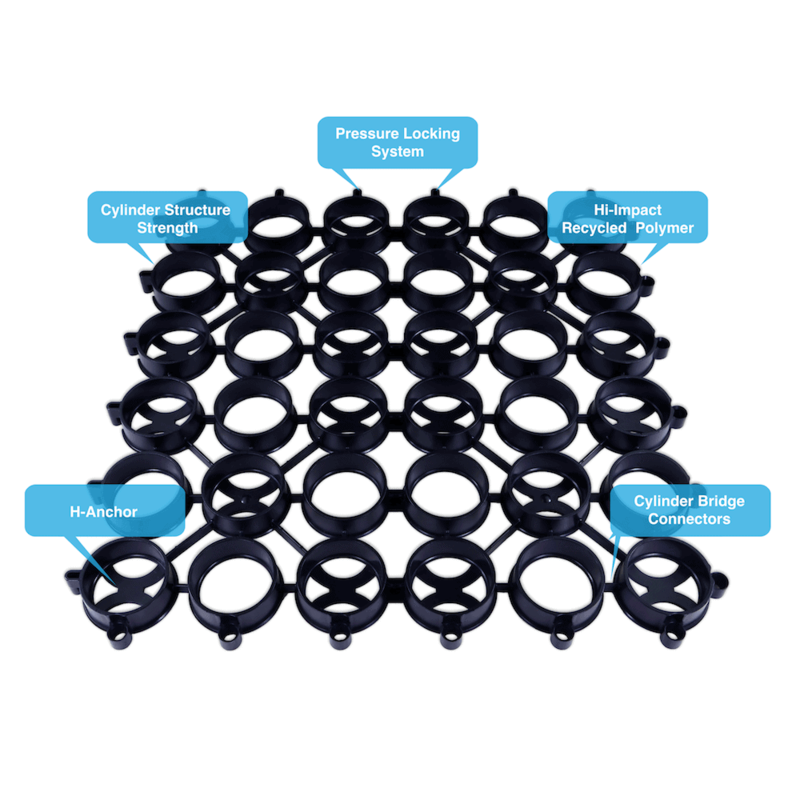 The locking mechanism and structure allows for an easy installation process. 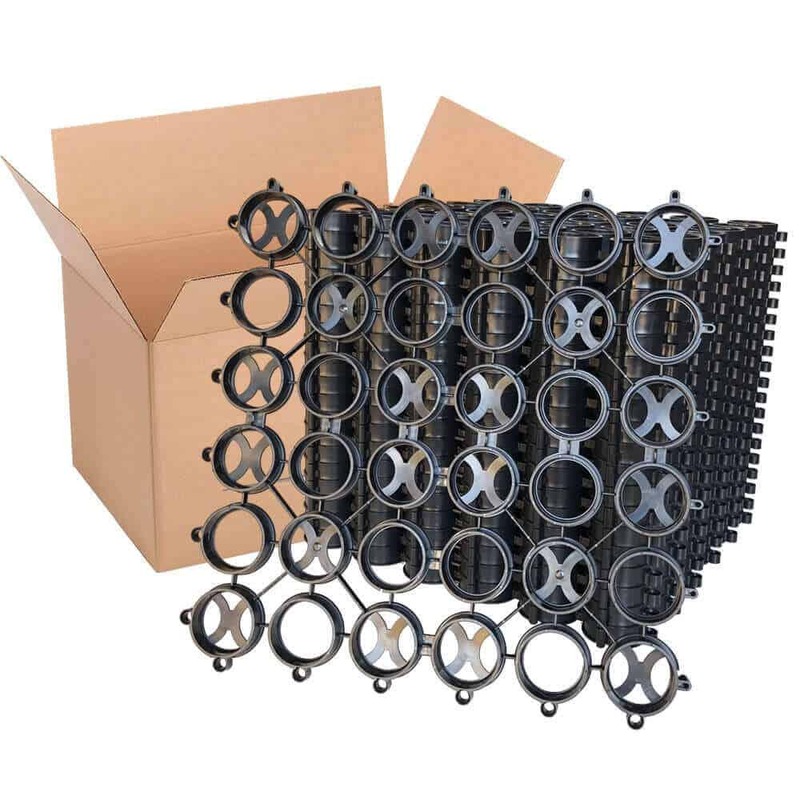 These high-impact permeable plastic pavers are also durable. 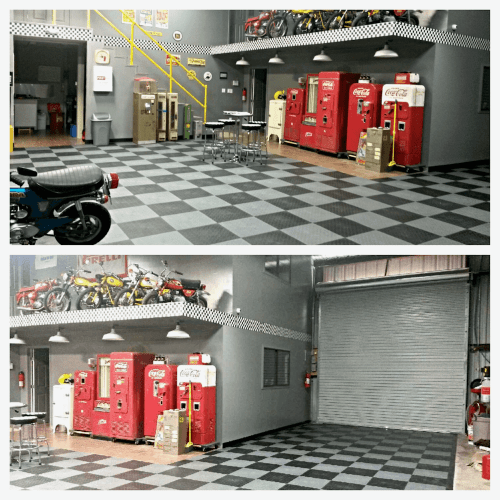 They will support heavy vehicles and heavy machinery while maintaining an organic, earth-friendly appearance. When these pavers are used in residential driveways, they create a surface that is more durable for vehicles to park or drive through compared to regular grass ground. Additionally, they will help prevent erosion and mud holes from forming. Grass pavers also create a functional, durable and enjoyable parking area. They can create an ideal parking space for occasional, slow-moving traffic where an aesthetic appearance is desired. As a result, plastic pavers are an excellent solution for overflow grass parking.